One of the popular ways of getting notifications from the #Apple #iphone 6 is through sound. The higher the sound volume level the more likely a person is going to hear the notification even in a noisy environment. There’s also a vibration notification which is useful if you are in an environment that requires silence or if you are in a very loud environment where sound notification won’t work. 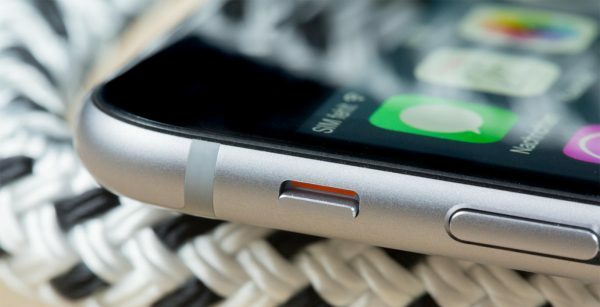 For our latest troubleshooting series we will tackle the iPhone 6 no sound issue which one of our readers is experiencing. Problem: After silencing my phone with the button on the side and working an outside shift in the humidity (although I know my phone did not get “wet” the humidity may be a factor??) I reactivated my sound. Suddenly, I can play music and hear videos, but have no sound for incoming calls or any notification whatsoever. Other apps, such as Trivia Crack do not have sound, so it seems to be hit or miss. I checked DND, Airplane mode, Bluetooth, volume button for general level (it does say “ringer” vs “”headphones”” when I increase or decrease the volume) and we even looked around in the sound section under settings. Everything looks as it should. (Manual for DND is in the off position.) Interestingly, I get vibration for an incoming call or text, however, when I use the rocking switch on the left to turn off the volume, I do not get the usual vibration response. I just finished the 9.3.3 update and according to Apple, I am up to date at this time. Solution: Have you tried checking the ring/silent switch of the side of your phone if it is properly set? If you see an orange color on the switch then the phone is set to vibrate when you get a notification. Just toggle this switch and make sure you don’t see the orange color. This will bring back the sound notifications. If the issue still remains then try the following troubleshooting steps listed below. Make sure that nothing is connected to the phone’s audio port. Clean the audio port of your phone using a can of compressed air. Turn off the Bluetooth service of your phone. If the issue persists then have this phone checked at a service center.